Fukui prefecture, on Japan’s west-central coast , is one of those places that conjures up images of rough oceans, rugged cliffs and punishing winter weather. 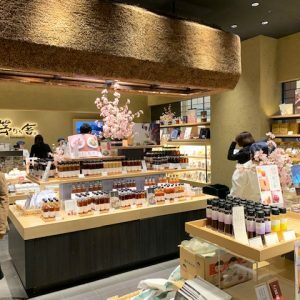 Sandwiched between its more famous neighbors – to the south, Kyoto prefecture, and to the north, Ishikawa prefecture – Fukui seems to have little going for it, except for the bounty of its moderately long coastline, which stretches 400 kilometers along the Sea of Japan. 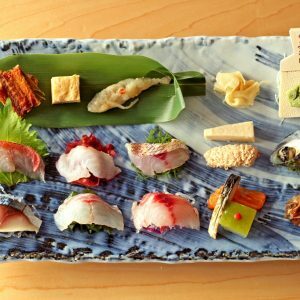 The waters off the coast of Fukui are rich in marine life, providing plenty of succulent seafood that is a celebrated feature of the local cuisine. Soft Echizen crab, famously beloved by generations of Japan’s imperial family; plump amaebi, or sweet shrimp; fresh abalone; and tilefish, among others, are hauled into ports that dot the western shores of this low-key prefecture. 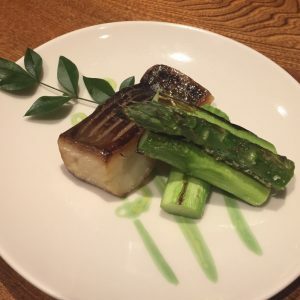 For a taste of choice Fukui cuisine, dedicated foodies can journey to the prefecture, about 500 kilometers from Tokyo, while those with less time, or resolve, can visit Bouyourou (望洋楼), an atmospheric dining establishment in the heart of trendy Aoyama. To celebrate its 4th anniversary, Bouyourou Aoyama set up a special ceremonial rope, which promises good health to those who pass through. The interior is spacious and airy. Tucked away at the far end of a courtyard lined with chic boutiques and eateries, Bouyourou is the Tokyo outlet of the eponymous Japanese inn, which sits facing the precipitous Tojinbo cliffs on the Sea of Japan. 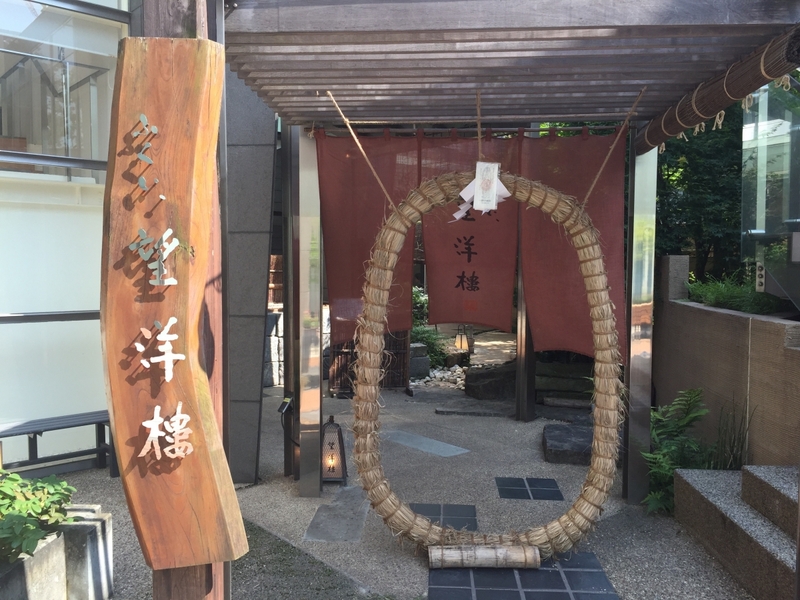 The building that houses the restaurant was reconstructed from parts of an old Japanese country house and the food is faithful to the cuisine served at the original Fukui inn, which boasts a history of more than 100 years. Bouyourou’s specialty is Echizen crab, but summer is not an ideal time for crab, so when I visited recently in mid-June, I decided to keep that treat for another day. Instead, I opted for the set lunch of chirashi-zushi, or a bowl of vinegared rice topped with ikura (salmon roe), slices of sashimi (raw fish), tarako (cod roe), shirasu (white bait), a slice of tamago-yaki (egg omelet) and fried shrimp. The chirashi-zushi set is very filling. The raw fish and other seafood tasted very fresh with just the right texture, while the fried shrimp was light and crisp. The chirashi-zushi set lunch came with a small serving of chawanmushi (savory egg custard) and a bowl of cold Echizen soba (buckwheat noodles) in tsuyu (sauce) topped with daikon-oroshi (grated horseradish) and katsuobushi (dried bonito shavings). 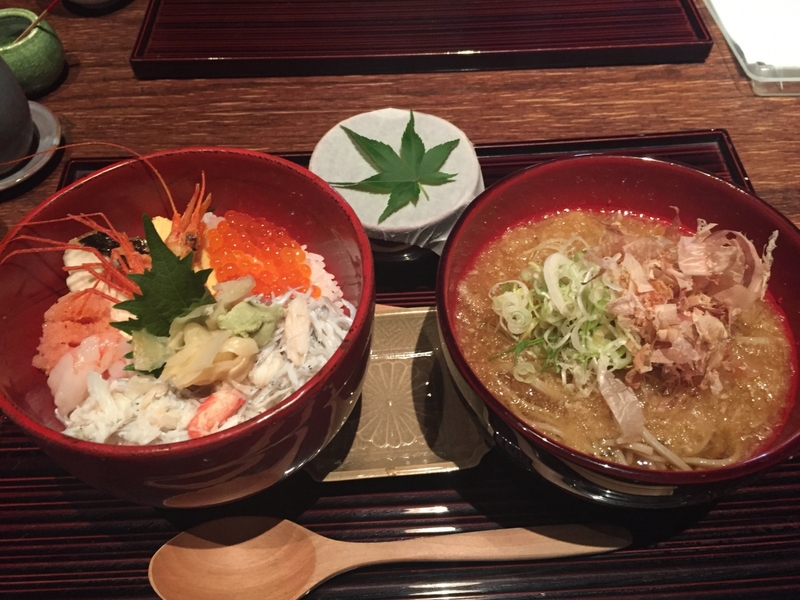 The Echizen area of Fukui, which is where Bouyourou is located, is famous for its high quality soba. Although I had waited to finish my chirashi-zushi, which took about 20 minutes, before digging into the bowl of noodles, the noodles were not at all soggy and were still sufficiently al dente for my taste. 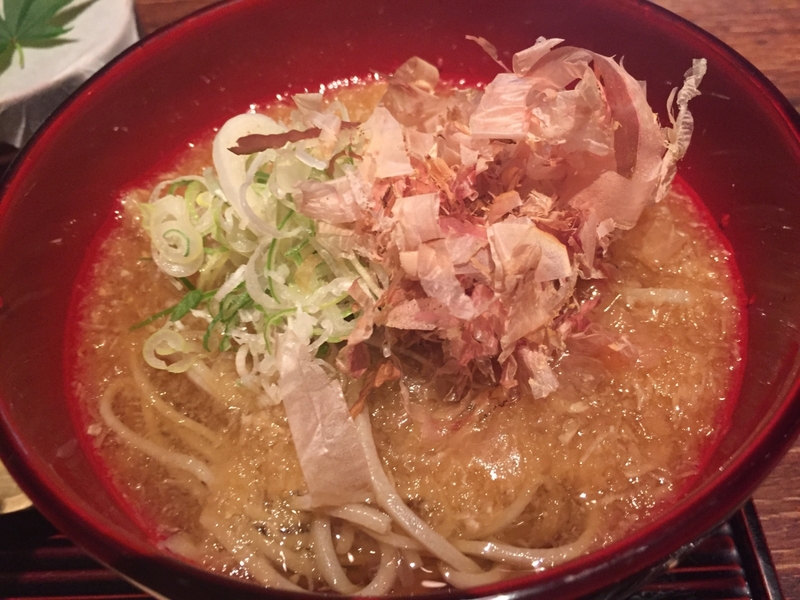 I also liked the fact that the cold soba broth was relatively light, unlike Tokyo-style soba sauce, which can be overly sweet and salty. Cold buckwheat noodles topped with katsuobushi and shredded scallion. Bouyourou serves other dishes typical of the Hokuriku area in western Japan, such as heshiko, or grilled slices of mackerel and other fish aged in rice bran, and sauce cutlet, or deep-fried breaded pork in a thick Worcestershire-like sauce. The restaurant sources its vegetables directly from farmers in Fukui and serves Wakasa beef, which is prized for its fine marbled texture. 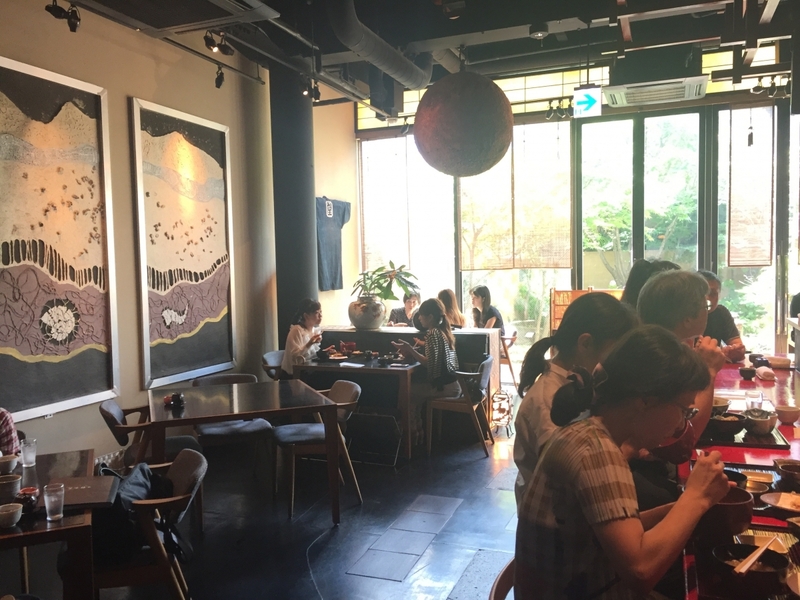 Bouyourou also offers a wide selection of sake from the region as well as shochu, wines and other drinks. 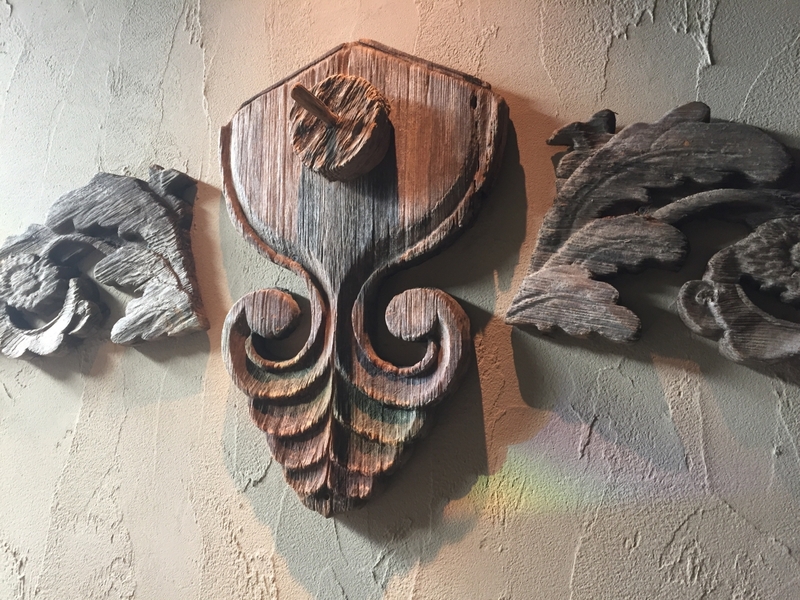 Decorative wooden pieces from the roof of an old country home decorate a wall at Bouyourou Aoyama. Closed Sundays and over the New Year’s holiday.